View this site at 1280 x 1024 resolution minimum or higher for best results. Last updated October 2013 - band info- Slippery Sam and photo. 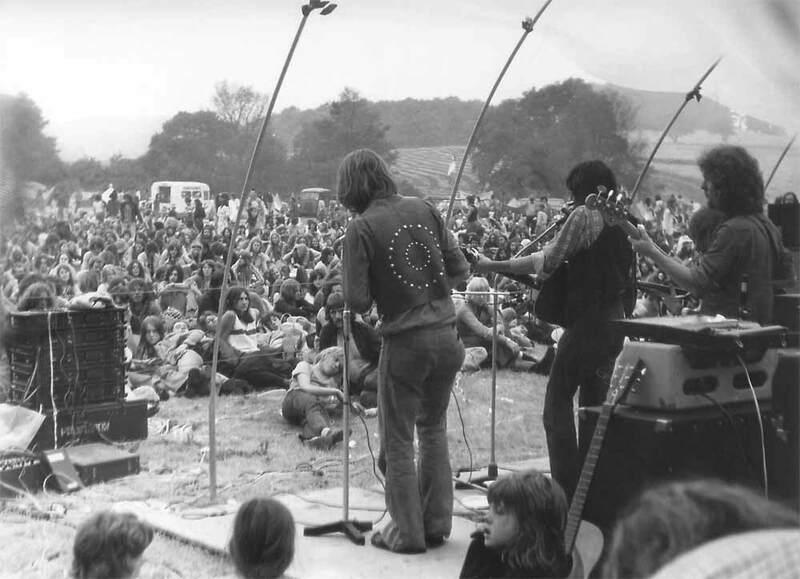 The following lists of the bands that performed at the 73 and 74 festivals, was kindly provided by Paul Pinn of the band Night Angel. What a find , who would have thought that ANYONE would have kept that information ,many thanks Paul ! Also Jeremy Browning of Landslide kept a record of who played on the first two days of the 74 festival, so thanks to him as well we get to know at least part of the time line ! Recently Steve Austin has also contributed a list of bands from 1974 . Thanks chaps ! 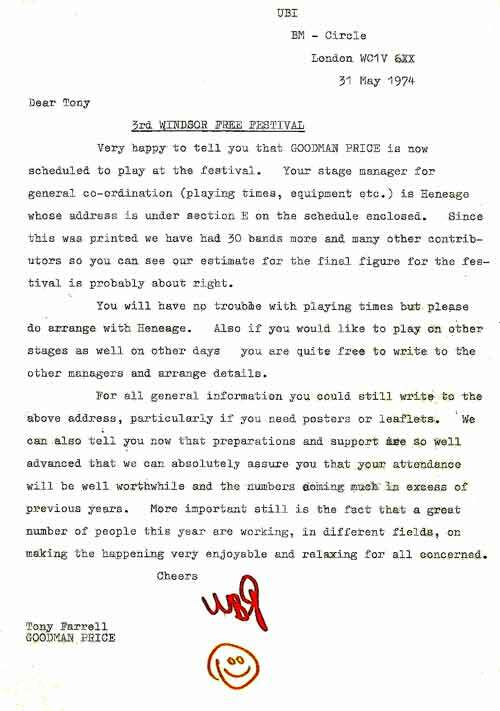 Click on the thumbnails to see the press releases which list bands who intended to play at the 73 festival. 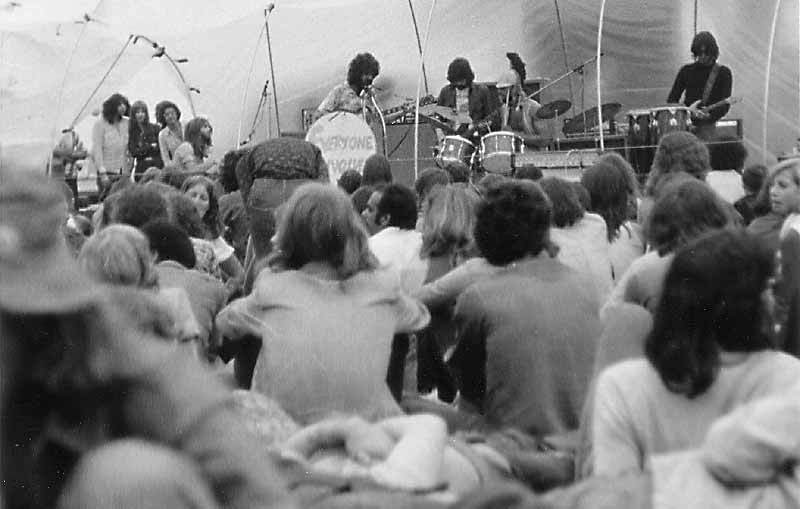 1974 festival, click on the band photos to see larger versions, if you can help identifying these bands , or played in them , Contact us. 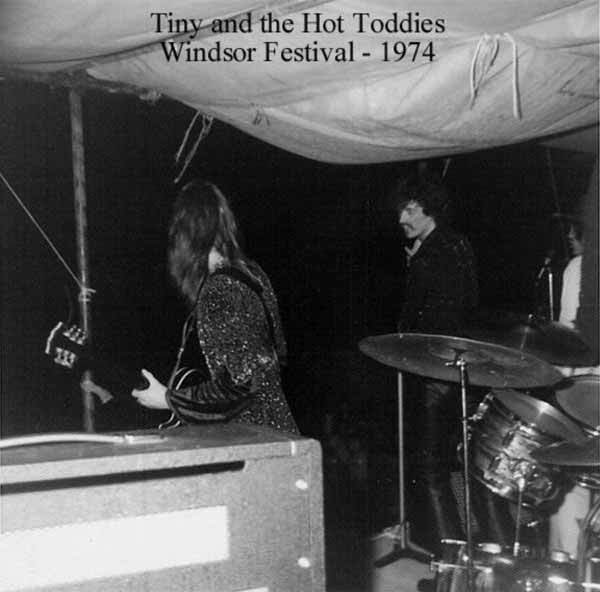 Anonymous band, Windsor 74 .Photo © Brian F.
Been checking your site out - originally searched Weeley - (what a line-up, and interestingly, half the bands are still going, albeit in reformed versions - The Groundhogs especially are better than ever, and Tony McPhee, at least last year, was playing like a demon half his 63 years or whatever he is now. Do wish Strife would reform, though) - but was delightfully surprised to come across the Windsor stuff, and spotting my band, me at an old address, and so on. I played in Night-Angel who played at the Windsor 74 festival. Came on 10pm after Global Village Trucking Company, who did three encores. I still have a cassette tape of us, recorded live at the festival (lifted off 4-track master tape). 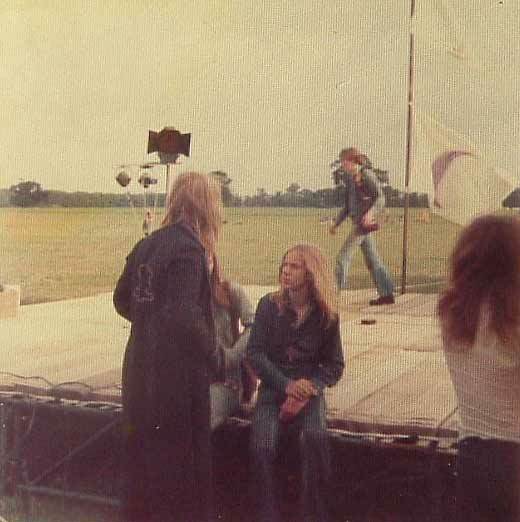 I also have some photos taken at the 73 festival, where we were scheduled to play but didn't, although our drummer at that time played with another band called Heavy Water. I suppose I could dig them out, scan them and send 'em to you. 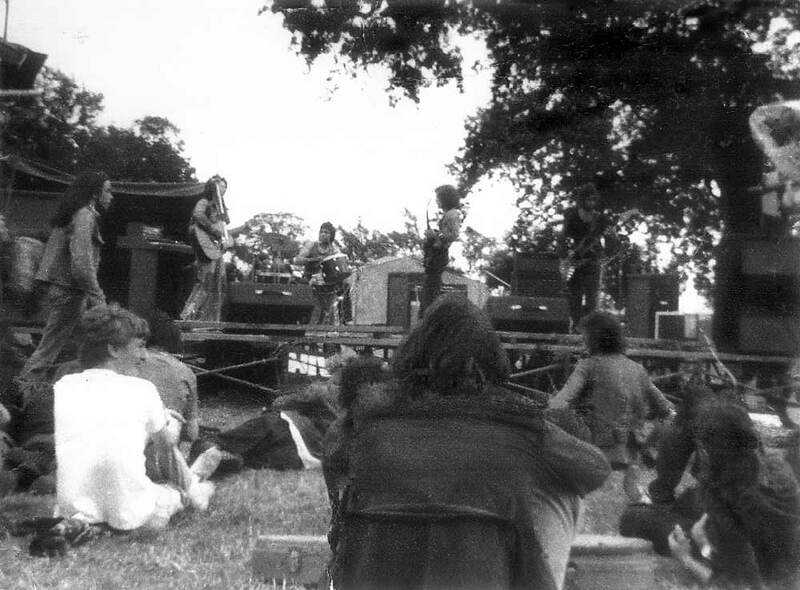 One features SF writer Michael Moorcock singing with Hawkwind, another some naked chick dancing to a band called Ace. And there are various others. My records indicate (thanks to an autistic streak and listing the bands I've seen) the following bands performances at both festivals - 10=Excellent. 9=Very Good. 8=Good. 7=Average. 6=Fair. 5=Ropey. 4=Poor. 3=Bad. 2=Very Bad. 1=Utter Crap .0=Aaaghhh. Void.........................................................................Loose Rock.........6/10........Bad conditions. They played on a windy hill-top. 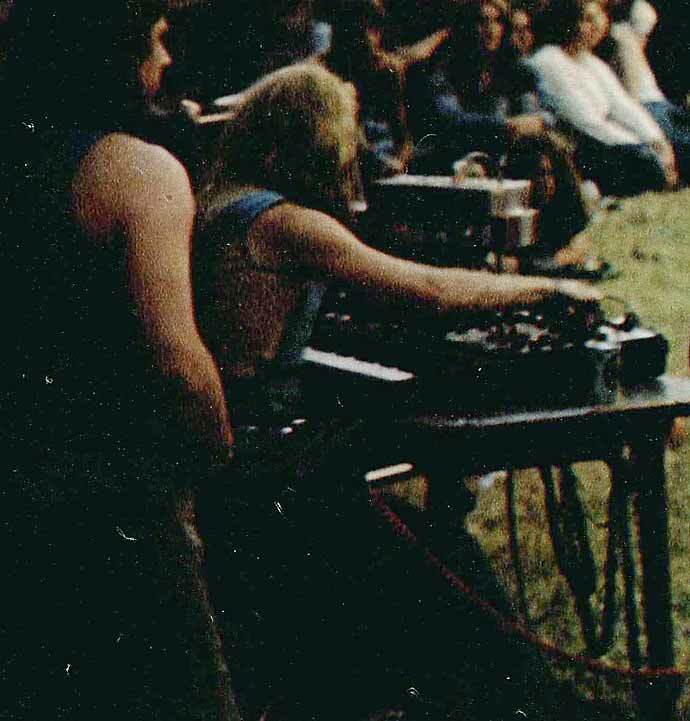 Hawkwind..............................................................Heavy..................7/10........PA system was bad, as were general conditions. Karne......................................................................Rock....................8/10........Had trumpet, trombone and sax, and they blew good. Ace..................................................... ....................Heavyish..............6/10........Sounded a bit like 'Yes'. Okay. Chief Whip & The Mayor of Wapping..............Rock & Roll..........2/10.........Feeble concoction. Heavy Water..........................................................Rock Standards.....6/10........Jim Nicholl's band and he openly criticized the audience. Profusion- .......................................................... Provided large PA used on Saturday. 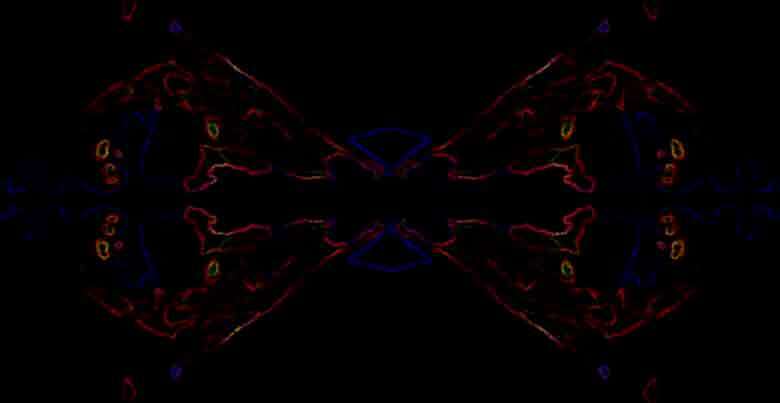 Wandering Spirit..................................................Five piece Psychedelic band from Hertfordshire . Dwarf Nebula.......................................................Thanks so much for your web site, brought back so many memories. I played in a band called DWARF NEBULA an one of the days. We were awful, although the power came from an ice cream van so you could only hear the drummer. 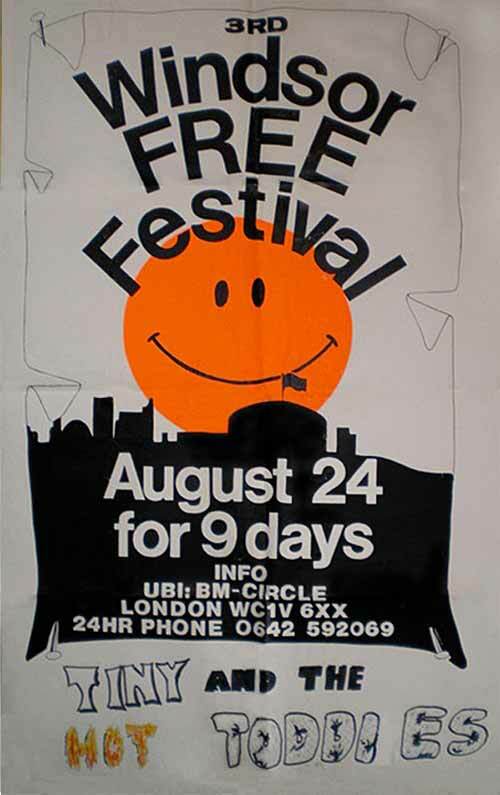 they were great festivals though. Hungry Joe.............................................................Straight & Soft Rock...7/10.........Tight. Witches Brew................................ ........................Rock & Rock 'n' Roll...9/10.........Good crowd movers. ExMagma...............................................................Cosmic Acid Rock.....8.5/10.......Unusual foreign band. Good light show. Void........................................................................ Straight Rock............6.5/10.......Improved a bit since last year. Charlie Horse.........................................................Straight Rock.............8/10.........Tight and competent. 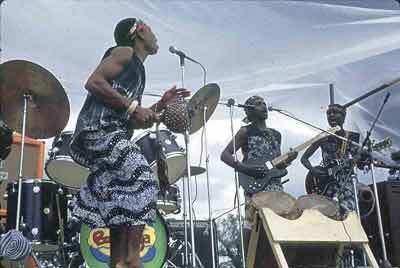 Gong........................................................................Space Rock & Jazz....9/10.........Tight. Had the drummer from 'Henry Cow'. Global Village Trucking Company....................Rock, RnR, Jams.......9/10.........Good crowd movers. Did 2 - or was it 3? - encores. Night-Angel............................................................Heavy.......................6.5/10........Had problems with mixing, monitors and PA system. Laughing Sam's Dice.............................................Acid-rock & Jams........6/10.........Just jammed away, really. Contraband.............................................................Irish Reels & Jigs........9/10..........Good crowd movers. Unusual. 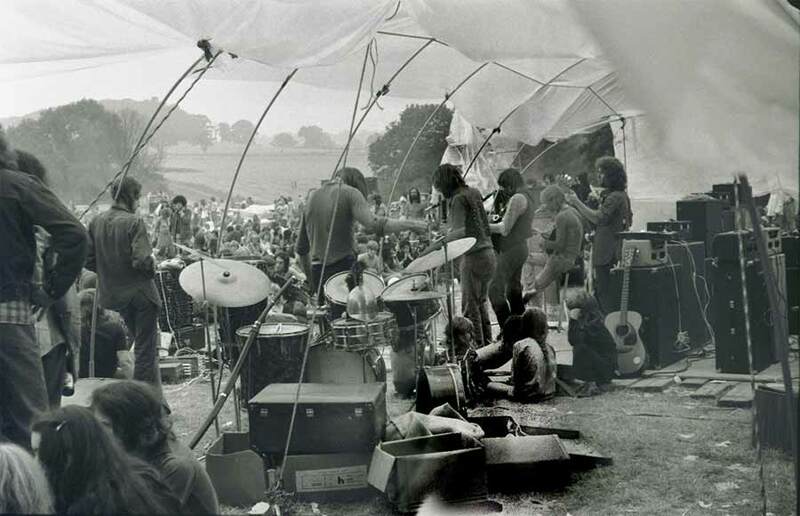 Wandering Spirit ...................................................Five piece Psychedelic band from Hertfordshire . Don't ask me what 'straight rock' was, I'm not sure.....or was it heavy(ish) rock without the riffs, but with more emphasis on lead guitar runs??? 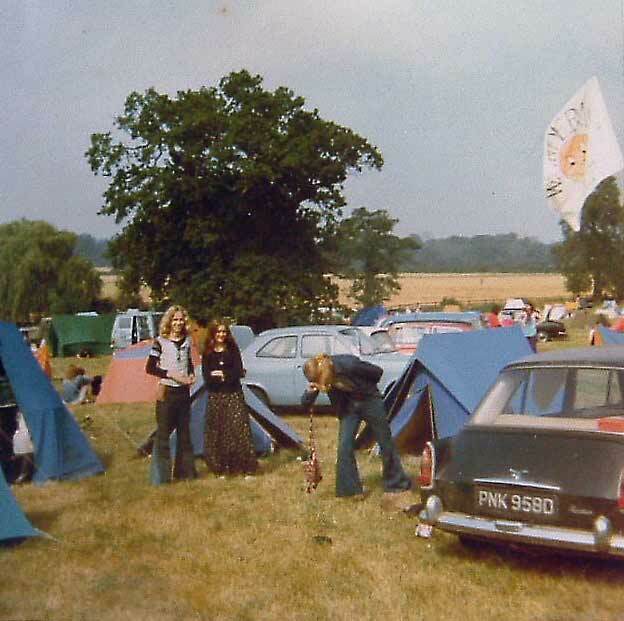 I remember the road blocks getting into the 74 festival, as my guitarist and I were stopped in his van and the cops (pleasant pair - male and female, the former a musician in a jazz band) turned the vehicle inside out. Luckily they didn't find the stash in the steering column, about the only place they didn't look. A close shave! About a month after the festival, Thames Valley CID paid me a visit about my involvement. I remember one of them being a great ELP fan, having seen them rehearsing in London, and he quacked on about it for ages until the older cop he was with told him to shut up and get on with it. A couple of months later I received a notification to appear as a witness at Bill Dwyer's trial in June the following year, in Windsor. I didn't know if this was for the prosecution or defence, but either way I'd already arranged to go to a kibbutz in Israel before the due date, so missed it all anyway. Incidentally, thanks for doing the website........really quite unbelievable, after all these years. Ha ha ha. just saw your website on the Windsor free festival and I was really pleased to see that my band CANAAN got a real good review. This is funny since we were young, unexperienced but full of dreams and enthusiasm. In fact it was my first gig outside of Germany. To be a German band, performing in the U.K., which we regarded as THE country of rock was really cool. I still have the recordings of our band in quite decent quality, so I will listen to them again tonight. 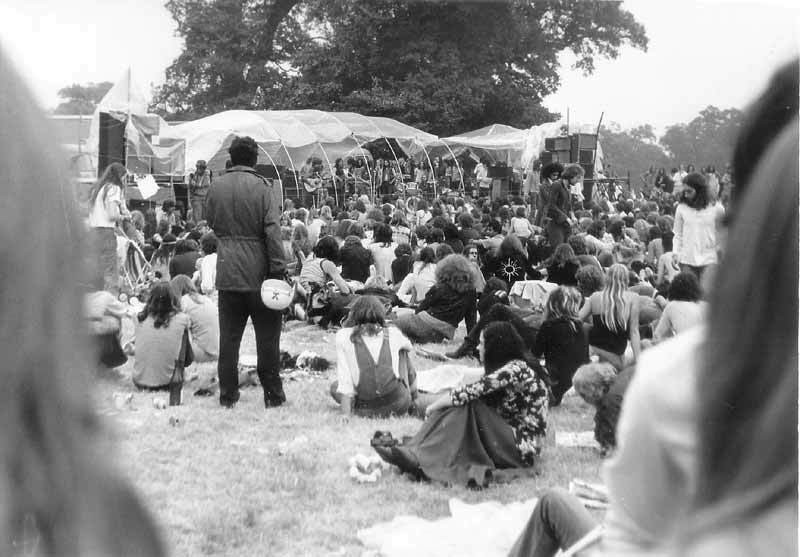 Right : Mixer at the 1973 festival. Voyage onstage Windsor 1974 Photo © Brian Farnan. I'm a Belgian musician, and I played with my band (at the time) at the 72 windsor festival edition. I'm currently finishing a Ph.D. on psychedelic music, that's why I found your site. 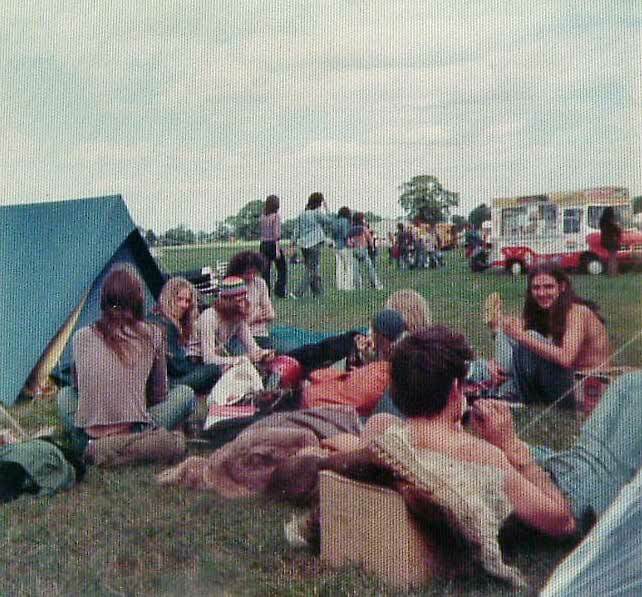 For a guy at the age of 18 when I first went to Windsor in `73 it was a big adventure of freedom and alternative ideas. 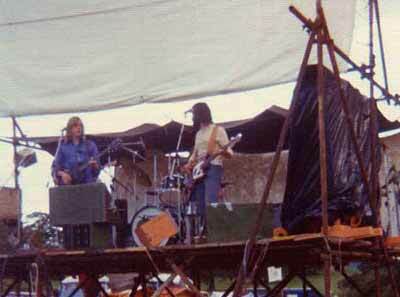 As part of the psychedelic band from Hertfordshire, Wandering Spirit (who also played at Windsor`74,Stonehenge `75 and Watchfield `75). Both years we drove in with our gear in a transit, long haired geezers getting absolutely no hassle or searches from the police at all-unlike many others! We finally managed to get a slot at the awful time of around 8pm in the morning when, just like most people it seemed, wanted to get a bit more shut-eye after the festivities the night before!! After a visit to the Hare Krishna food tent and sampling wholesome veggie food for the first time-this started me on a journey leading to green activism,animal rights,non-violent direct action and veganism up to the present day. Cannot for the life of me remember which ones were good bad or indifferent. Such a great buzz for us playing music and mind altering states that was very liberating and so glad to be a part of it. Lastly we were jammy enough to leave on tuesday before the hordes of violent police moved in on the following morning-we got first hand reports about this horrible end to the festival from friends returning who stayed longer. We had 5 days of fun in green spaces of Windsor park and the powers that be didn`t like it-another dodgy Labour government! Hatfield and the North , Kevin Coyne,Lol Coxhill and Isotope are also reported to have played , but not confrimed by any eye witrness accounts so far. I've got quite a few memories, which I'll try and write down properly if it would be of any interest. But one (very trainspotterish) detail that struck me as I looked through the list of bands, is that I have no recollection of Gong playing. I certainly remember The Global Village Trucking Co, and my memory is that they were the most famous band that played! The MC on the main stage was a relatively straight guy, who referred to every single act as 'a really tight little outfit'... It became a bit of a joke. And he kept telling us about an amazing French band that would be playing called Zorch (!!!) - who were, he kept telling us, the heaviest band he had ever seen! I think I heard some Tangerine Dreamish noises coming from the main stage at about 3am that night. I performed myself - reading out my poetry - which brought me into contact with Bill Dwyer. I was 17. For years I had a vague recollection of seeing another good band there who put on a sort of Hawkwind/Early Genesis show. I remember I dragged everyone back to see them but could never remember who they were until a couple of weeks ago when a band turned up at my local pub. They are now The Legendary Wooden Lion but at Windsor they were just called The Wooden Lion. They do not seem to figure on any of the lists you have. Does anybody else remember them? 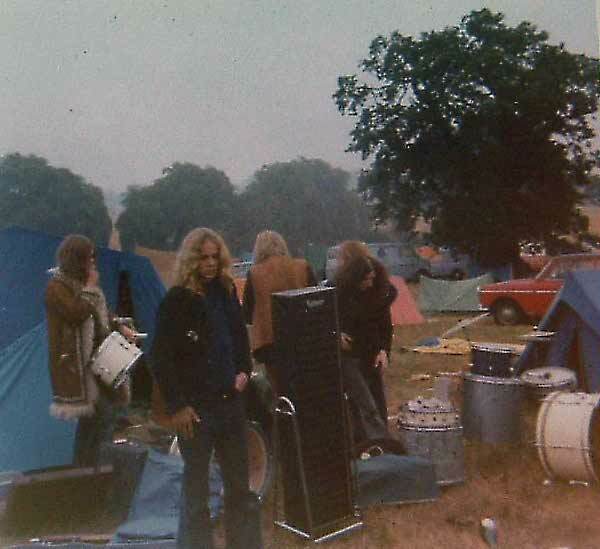 So, "Goodman Price" and friends arrived around 6pm on the third day of festivities, had a stroll around the site, listened to some bands, and met up with Heneage Mitchell to check what time we were due to take to the stage - only to find we had no stage! It didn't matter to us. We got set up on a patch of grass and started playing around 9pm, with only one other band playing on the site at the time ( I was later told that the band was Gong, but I have no way of knowing for sure ), in front of one man and his dog! After about 45 minutes a fair sized crowd had gathered to listen to us and a poet who we had never met before ( could well have been Mark Hudson, who has detailed his recollections elsewhere on this website ) and then...... the generator packed up! No problem. We played a couple of acoustic songs, by the lights of our Bedford van, and said goodnight. We were promised a return stint, on one of the stages, for the following Friday night but, for obvious reasons, that never came about. We left that Thursday morning, with a few more people in the back of the van than we had arrived with, and headed back to London ( work/ college/ signing on that day) but, even though we only stayed a few hours, everyone agreed that the atmosphere was great and it felt like a good place to be - we felt sick when we saw the news the next day. Just found your site. Such memories. 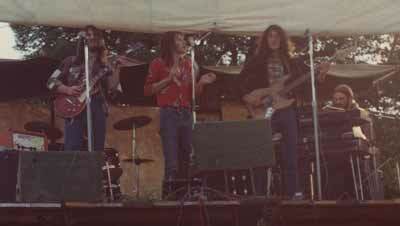 (1974) I was in the band Gemini and I also played in a band called Stag (both on the same night. The list of bands on the fliers was subject to change to say the least. Hawkwind played before us and they aren't mentioned on the band list flier, although the Pink fairies are mentioned on the second and they did turn up, but late - if I remember correctly. 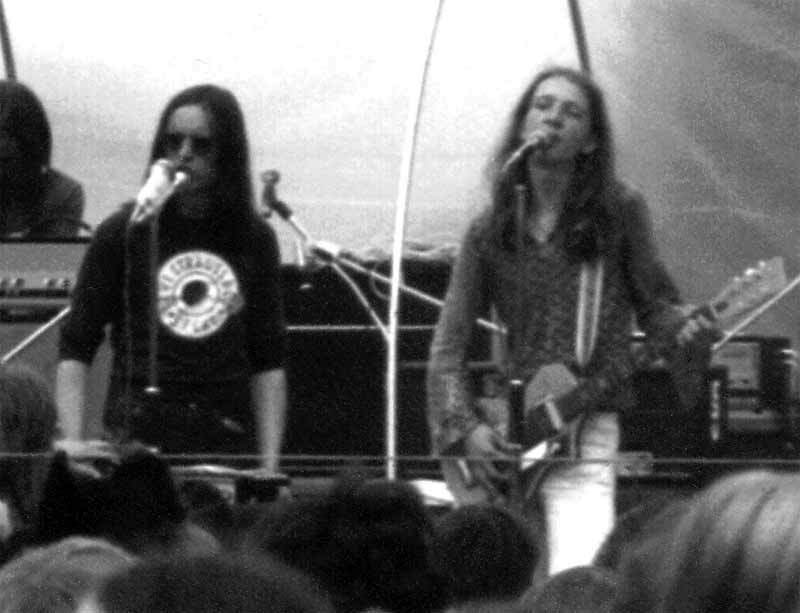 I also remember playing knock-about football with some of Hawkwind and that Michael Moorcock took to the stage with Hawkwind. We played "Master of the Universe" in our set, which felt strange considering Hawkwind were backstage. Great to see the comment about Tiny and The Hot Toddies from Mark Serlin. I was the lead guitarist in that band and we were on stage quite late that night. All the other stages finished about 20 minutes after we started so we had all the crowd who were still watching music listening to us, which was brilliant. About 30 minutes into our set the generator blew up, so we were left with unamplified drums. I shouted to Barry, the drummer, to keep playing and we kept the crowd going as best we could, starting off a variety of chants etc. The stage manager came up to me and said that he didn't think they could repair the generator but I replied "you keep trying, we''ll keep going as long as we can". After what seemed like a long time - it probably wasn't more than 10 - 15 minutes, but seemed forever - the amps and lights came back on to the most enormous and spine-chillingly, exciting roar from the crowd and I'm proud to say that we just carried on with the number we'd been playing when the power went off. We finished the set about twenty minutes later I think and another band went on after us, I don't know who. When they finished I heard another roar from the crowd and Stanley, our bass player came running backstage to say "Did you hear that? That roar was because the stage manager had asked "Who wants Tiny and The Hot Toddies back on again?" It was a great moment and we played another set although we were knackered. I'm also pleased to say that I pulled! I have included a photo taken from the back of the stage and the poster sent to me by Bill Dwyer. 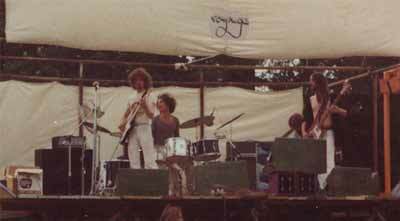 We played on Stage D Sunday Afternoon if I remember correctly with Jerry the Ferret and the Jeremy Spencer Band, line up John Tilsed (Drums) Mick O'Hara (Rhythm) Bob Longworth (Lead) Mark Southgate (Bass) I think this maybe the only surviving Photo ! .Can anyone else add any more to this list ?